Did you know that the U.S. Department of Energy declared the month of October as Energy Action Month? Furthermore, did you know that Energy Action Month comes to a close by celebrating Weatherization Day on October 30th? Weatherization Day is an opportunity for a local, state, and national focus on WAP (Weatherization Assistance Program) and the work that is performed by all the members of the program. Since 1976, when the program was started, WAP has weatherized over 7.4 million homes across the nation. Now that's something to celebrate! In fact, households who are WAP eligible pay on average 16.3% of their income on utilities, which is more than 4 times what non-eligible households pay (3.5%). Families that weatherize their homes can use the money that once went to utilities for other, more essential things like food and medicine. Weatherization doesn’t just help to cut your energy bill, but it will also keep your home healthy. For instance, when the Weatherization Assistance Program comes out to your home they will check to make sure that you have the correct insulation to make sure that your system has proper ventilation, along with making sure that your ventilation is diminishing the amount of moisture coming in. With the weather starting to change, more people are switching on their heat, but if your home isn’t weatherized you could be spending more money than you have. What if this winter you didn’t have to use up to a fourth of your income on heat? Around 8,500 minimum wage jobs are supported by Weatherization. Don’t let the thought of not being able to qualify stop you from checking! Click here to see the 2019 Income Guidelines and check if your household monthly income qualifies you for weatherization services in Butte County. How Community Action Agency can help! We offer two major programs: the PG&E Energy Savings Assistance Program and the Low Income Home Energy Assistance Program. If by looking at the 2019 Income Guidelines you see that your household doesn’t qualify, that doesn’t mean you can’t get help. You may still be able to receive the basic services for free. The MIDI Program is designed specifically for low and moderate income families. We work with PG&E and do all the work, assist you with income verification, and walk you through your PG&E bill to help find future energy saving possibilities. 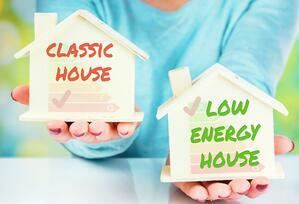 This assessment is no cost to you and actual upgrades are determined following the energy assessment. How do you sign up for the either the Weatherization or MIDI Program? In order to apply for the Weatherization Program we require a face to face interview. You can either call us at 712-2600 or email us at info@buttecaa.com to set up an appointment. You can also call or email us to both learn more about the MIDI Program and to see if you can take advantage of it. Want to get more information on the PG&E Energy Savings Assistance Program and the Low Income Home Energy Assistance Program or want to see how you can help? Click here or on the banner below.